Electrical and Instrumentation Engineering refers to the discipline which deals with design of devices to measure physical quantities such as temperature,pressure, flow etc. Electrical Engineering basically deals with the study and application of electricity, electromagnetism, and electronics. Instrumentation engineering is the engineering specialization focused on the principle and operation of measuring instruments that are used in design and configuration of automated systems in electrical and pneumatic domains etc. These guys typically work for industries with automated processes, like the chemical or manufacturing plants. They work with the goal of improving system productivity, safety,reliability, optimization and stability etc. It deals with the design of devices to measure physical quantities such as temperature,pressure, flow etc. The design of such instrumentation requires a good understanding of physics that often extends beyond electromagnetic theories. Instrumentation is often dealt as the sensors of larger electrical systems. After completing BE or B. 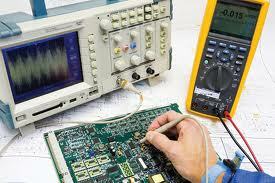 Tech in Electrical and Instrumentation Engineering, one can go for ME or M. Tech in the same. Thanks for registration. Click here for Branch selection guide.